If you HAVE NOT Watchdog'd at PRE in the past you MUST attend the new WatchD.O.G.S. Orientation (Sept 11th @ 6:00pm @ PRE) and complete paperwork BEFORE you can sign up for time slots. ALL SIGN-UPS must be AT LEAST 7 DAYS IN ADVANCE. Schedule your participation at least one week in advance to give the office staff and teachers time to prepare activities and schedules. You will spend some time in your child's classroom, but you will not be shadowing them for the entire day. If you are scheduled to help in a classroom, it is important that you show up on time. The teachers have requested your help and are counting on you to arrive. You can remove or switch your time slot as much as you like as long as the slot is MORE THAN 7 days out - no need to tell anyone, just go in and remove yourself and pick a new slot. If you find you need to cancel or change WITHIN 7 days from your slot, please call the school at 913-667-1800 to let them know. 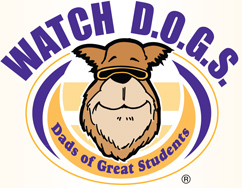 Thank you for supporting your child's school by participating in the WatchD.O.G.S. program! On the next screen in the MyComments field enter your grade, teacher's last name & ONE primary child for your shift. Format: GRADE-TEACHER-CHILD'S NAME. Please review guidelines above. 1st - Powers - Brooks P.
K - Robertson - Sophia P.